JICE held a potluck party for international students who live in Tokyo area under JICE’s support on December 22nd, 2014. On the day of the event, the venue was full of delightful atmosphere and meals of various countries presented by participants. It was our first joint party across the six different projects (see below), which provided an opportunity for international students to network with new people outside their own project. The party was also a good chance for them to refresh themselves out of the busy days of studies and lives in Japan, and build up trustful relations with JICE staffs. We made a circle and danced to the Christmas song sung by JDS Philippine students. 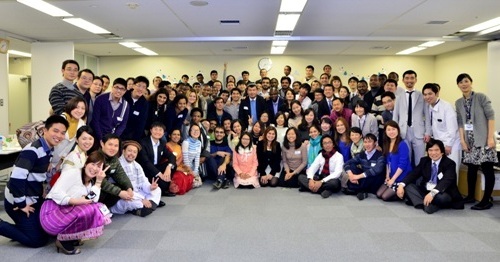 We had a nice time together with more than 70 students from 18 countries and 16 universities who live in Tokyo area.